Whether you iron every week, every day or only when absolutely necessary, there are tools that will help you produce professional results. 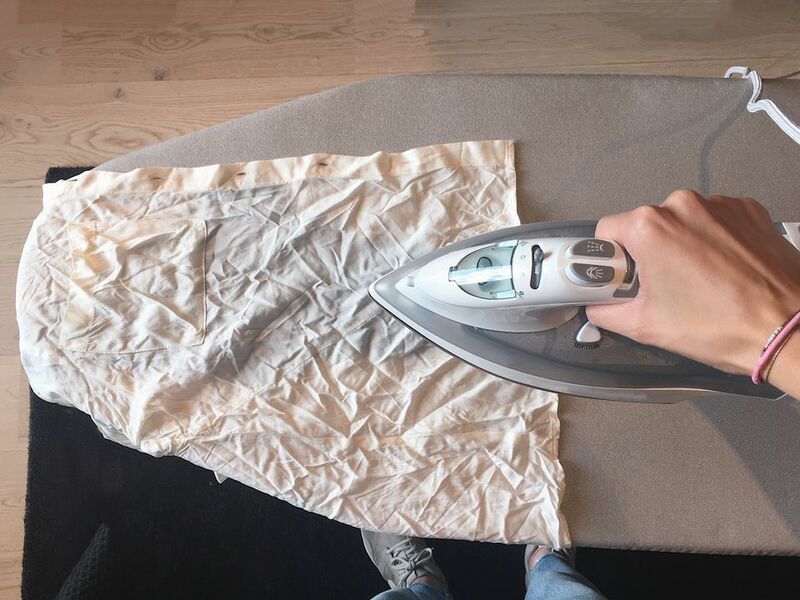 The first place to start is to learn the basics of ironing including the correct iron temperature for different fabrics and proper techniques. After that, it's time to acquire the correct equipment. Beyond an iron, the next most important tool for successful ironing is a pressing cloth. It usually only takes one time of ending up with a shiny iron-shaped mark on fabric to learn to use a pressing cloth. That little piece of cloth between your hot iron and your expensive shirt can save the day. Excessive heat from an iron can burn or scorch some natural fibers and can actually melt some synthetic fibers. Most pressing cloths are made from 100 percent white cotton to withstand heat and prevent dye transfer to the item being pressed. A pressing cloth can - and should - be used with both a dry or steam iron. The cloth should be large enough that no part of the iron's soleplate touches the item being ironed. You can purchase a ready-made cloth or simply get a square of muslin from the fabric store or use a clean, smooth, white, woven kitchen towel. You might think that an ironing board is necessary for any ironing. It is important and will make ironing easier; however, you can iron garments and linens fairly well without one. When you get ready to buy an ironing board, consider size, weight, and storage. Or, perhaps an off-the-shelf or custom built-in ironing board is best for your family. There are wall-mounted cabinets with a drop-down ironing board and under-the-counter pull out models. To add a bit of style to your laundry room, there are ironing board covers in every design from basic grey to stripes to florals. In addition to how it looks, there are some other things to consider. Teflon-coated cotton covers will not stick to your clothes and make it easy to clean away any build-up of starch or sizing from the pad. The best pad is one lined with heavy felt. It will hold its shape better than a foam-lined pad. Even with a good steam iron, a spray bottle that will spray a fine mist will make your ironing task much more simple. For cotton, linens and most natural fiber fabrics, dampening the garment or linen will make ironing easier and quicker. When you iron a garment's sleeve on a traditional ironing board, it is almost impossible to remove all the wrinkles without adding a crease down the length of the sleeve. For some shirts, like a starched business shirt, that's not a problem. However, for many garments like women's dresses or jackets, you don't want a crease detracting from the line of the garment. That's why you need a sleeve ironing board. It is essentially a miniature ironing board that has a raised pressing area so you can slip a long sleeve over the pressing surface. The pressing surface is narrow enough that you can iron the entire sleeve without causing a crease. The sleeve ironing board is placed on top of a flat surface or your regular ironing board. The sturdy wood or metal board is padded and usually has a cotton cover. Some have two surfaces for different sized sleeves. Many fold flat for easy storage. If you don't wish to purchase a sleeve board, you use a padded seam roll to slip inside a sleeve during pressing. The seam roll is a bit more awkward to use, but it will work to prevent creases. Take a look at the shoulders of a shirt or jacket. They are rounded to fit the curve of our bodies. No one likes a sharp crease across that seam. That's why a pressing ham is essential to creating that creaseless look. A good pressing ham has two sides one made of wool, the other cotton fabrics for use with different ironing temperatures. The wool side is used for pressing woolen, synthetic blend or other fabrics requiring low to medium temperatures. The cotton side for inserted next to cotton, linen or fabrics requiring medium to high temperatures. How Can I Stop My Clothes from Shrinking and Stretching? You Finally Got That Autograph. How to Make it Last.